This past September saw Dubai play host to the 6th International Conference on ISO 31000 Risk Management. The global event saw leading managers from a variety of industries and organizations, both large and small, come together to discuss risk management solutions and opportunities. In a business environment where requirements for auditing, reporting, and compliance are becoming increasingly strict, ISO 31000 is taking center stage. In the wake of the global financial crisis that saw governments all over the world refocus efforts on transparency, regulation and reducing risk in the corporate world, ISO 31000 came into bring in 2009. The standard represented a global consensus on principles required to help businesses make balanced, consistent decisions regarding uncertainties and challenges they faced in their operation, and to mitigate their effects on overall objectives. Rules for how these processes would be integrated into business decision making. In a report published by the UAE International Audit Association, 90 chief internal auditors working in businesses across Dubai and the UAE. Described how boards and executive managers are keen to improve risk management processes through all levels of an enterprise. Despite the fact that these firms want to give adequate consideration to risk management, only a 1/3 of UAE companies surveyed, have proper risk management policies in place, and 9% had no risk management planning in place at all! These results reflected data from industries as varied as real estate, energy, aviation and retail throughout Dubai and the UAE. In a market where a multitude of risks exists, from financial vulnerabilities to data insecurity, market fluctuations to changing consumer preferences. 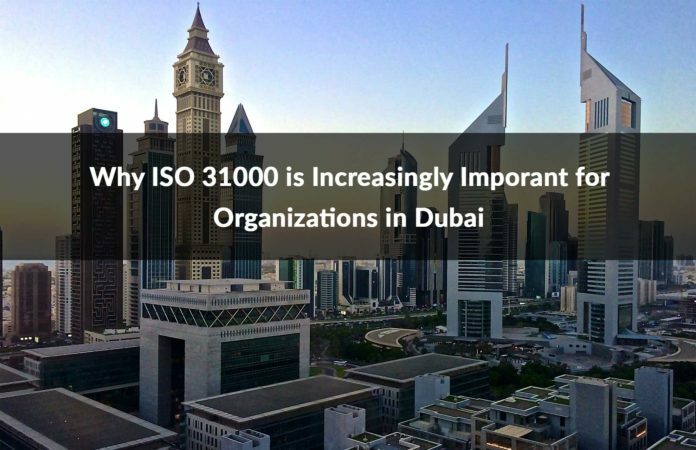 The importance of gaining an ISO Certification in Dubai for ISO 30001 is becoming clear. Businesses of all size need help formalizing processes, planning and functions to respond the general and specific threats their organization faces; and ISO certification in Dubai can help. By pursuing an ISO certification in ISO 30001, businesses of all size and industry in Dubai can reap the following benefits. Providing guidelines for management to know when to take risks in order to grab key opportunities, and when to avoid them altogether. The process for achieving an ISO Certification in Dubai is simple. So your management has no justification for avoiding taking the vital steps to secure its future. Head over to https://www.isocertificationinuae.com for more information on how to begin achieving your ISO 30001 certification today.